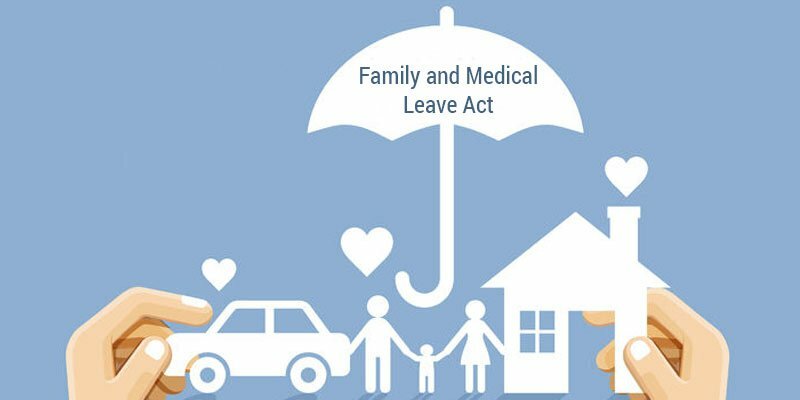 Home » Is Family and Medical Leave Act (FMLA) a Boon for Employees? » Blog » Is Family and Medical Leave Act (FMLA) a Boon for Employees? According to the Family and Medical Leave Act (FMLA) 1993, the covered employers must give their employees up to 12 weeks of job-protected unpaid leave for their qualified medical and family reasons once in a year. FMLA is a federal law that gives enough time to employees to take care of their own health or their family member’s. In a condition, when an employee or their spouse, child, or parent comes down with a serious health condition, or if there’s a need to take care of a new born child, employees may feel free to apply FMLA leave for their convenience. This eases down the pressure from an employee’s shoulder as their own health or the family becomes priority and work takes a backseat. » Employees must know that not all companies are covered under this act. There is a condition that needs to be fulfilled. The company must have at least 50 employees working for minimum period of 20 weeks in previous or current year. » Employers and employees must know that not all employees are covered by FMLA. The condition for an employee to comply with this act is that he or she must have worked for at least a year in the company. » The leave is provided for reasons which are pre-defined in the policy. An employee can take this leave to take care of their own health or someone in the family (as mentioned above) or to bond with a new born. Military people can also take time off for above reasons and to recover from a service-related injury. » It is important to know that FMLA is an unpaid leave type. Employees may avail accrued paid leave (sick days or vacation days) such that they get paid even on the FMLA leave. According to the law, this is an unpaid leave. » Generally, employees are given a period of 12 weeks as time off each year. But it may exceed up to 26 weeks in a special case, when an employee must take care of a family member suffering from illness or injury caused during military service. » Under this act, an employer may ask the employee to show a medical certificate given by the medical service provider. » If by any chance this leave is taken for foreseeable reasons, the employee must give a notice of at least 30 days to the employer. » In some cases, an employee may need to use FMLA leave at multiple times in a period of 12 months. This would be possible if the employer agrees to it and allow employees to take intermittent leave not using all the FMLA leave at once. Is FMLA a boon to employees? As it is a great option to lawfully take time off from work to manage all caregiving responsibilities towards the family and take care of one’s own health too. It reduces the stress and anxiety caused due to the fear of losing employment. Another benefit is that an employee remains entitled to continue health insurance during this leave period too. In this case, the employer continues to pay employee’s share of the premium for getting insurance benefits. But if an employee decides to never return to work after the leave period gets over, the additional amount paid for the insurance needs to be reimbursed to the employer. Unfortunately, if an employee couldn’t return to work due to a fateful event or unavoidable circumstance, the person isn’t liable to reimburse this amount. In some parts of the world maternity leave is still a debatable topic. New mothers often face challenges when they return from maternity leave. Challenges occur related to compensation, job role or more. But when it comes to FMLA leave, employees are given equivalent position and pay when they come back from leave. Though highly paid employees may deal with an exception, but otherwise things are smooth and simple for employees entitled to take this leave. According to the U.S. Department of Labor, the Family and Medical Leave Act covers a total of 60 percent of U.S. employers (including private-sector companies with 50 or more employees, and public agencies and schools). It was found that in the first two decades of the implementation of the FMLA law, employees used it more than 100 million times. Though there have been widespread concerns among employers and the leadership regarding this act, but overall it had a positive impact on employers as well as employees. Managing employees’ leave is anyway a challenging task for HR. Unclear policies, unavailability of leave tracking tools, irresponsible employee behaviour, paper-based systems are few more reasons that make leave management a headache. An online leave management software makes the process more interactive and easy-to-manage. Employees can use self-service portals to enter their leave details and access leave policy, especially when they have doubts in FMLA leave. They can refer to the leave policy before raising a leave request. This would simplify things for employees as well as HR. Employee portals with a clearly define FMLA guidelines is a better way to guard against leave abuse. HR must be careful while enforcing leave policies. Through an online leave management system, one can know the eligibility to avail the leave, medical documentation needed to show, maximum time off given to an employee, what are the other leave rights, and associated benefits and how they can avail them. Having an automated leave management system enables an employer to keep a track of employees who avail this leave type and make sure no one abuses the benefits. Read a related post to learn more about the federal Family and Medical Leave Act (FMLA).